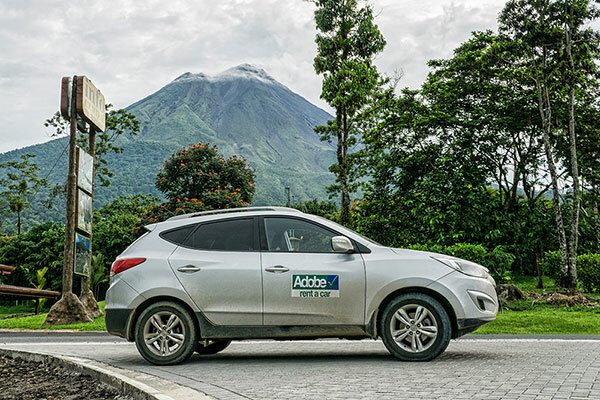 Transportation in Costa Rica can be confusing for those planning a trip and visiting the country for the first time. Should use public buses or rent a car? What about flying? The good news is that you have a lot of options to chose from and the best choice will depend on your own needs. Because owning a vehicle is very expensive, the vast majority of Ticos (residents of CR) travel by way of the bus. This is great for the budget traveler because the country has cheap buses (often less than $10) with routes all across the country. You can get almost anywhere you’d like via the bus system. The main bus terminals are located in the capital, San Jose – and there are more than a dozen different ones which can make it confusing to figure out where you need to go to get the right departure city. The bus companies compete for routes and they can change frequently. It’s best to investigate before you arrive which bus terminal you need. Some buses can sell out so it’s good advice to arrive at least a hour early to get your ticket. Bus conditions are generally much better in Costa Rica than other countries in Central America. Instead of crowded chicken buses you’ll be assigned a number seat. Seats are cushioned and even recline; offering overhead storage above you in many cases. They’re generally safe but you’ll want to watch your valuables as thefts can occur. The drivers generally don’t speak any English so knowing a few phrases in Spanish can go a long way. Rides longer than a couple hours will make a 15-20 minute stop at small cafe or diner where you can stretch and buy food. Serving many areas it’s the biggest terminal in the city. Serving Northern areas like Monteverde & La Fortuna. Location: Calle Central, north of Av 13. Serving much of the Caribbean coast. Check your country of origin for entry requirements to Costa Rica. As a U.S. passport holder I was required to show an ‘exit ticket’ (that I would be leaving the country within 90 days) before entering. These tickets can be either a flight or bus ticket to another country. Without an exit ticket you can be denied entry or given a visa for a very short stay if the agent is in a good mood – better not to risk it. Tica Bus – From any capital city in Central America you can use the Tica Bus to travel to San Jose, Costa Rica. The Tica Bus is safe, air conditioned, and as comfortable as a bus ride can be. I used it to travel all over Central America. In my experiences the sales person was able to speak and understand enough English to help with questions and buy tickets. 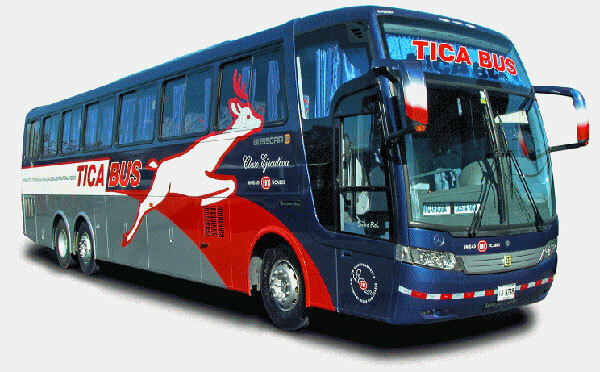 Tica Bus – When traveling from Costa Rica to Panama, or Panama to Costa Rica there are a limited number of buses allowed and these are often sold out at least one full day in advance. You’ll want to purchase tickets for this route as early as possible. Expreso Panama – Other than Tica Bus, the only other bus I could find servicing Panama City to and from San Jose was Expreso Panama. Slightly cheaper than Tica Bus and basically the same. They only have 2 buses per day going this route and they also sell out in advance. Nica Bus – Managua to/from San Jose, twice a day. If you have a very limited time to explore the country waiting on bus schedules or indirect routes can consume too much of your time. This is when you should consider renting a car. However, driving in this country can be quite different than what you’re used to back home. You only need a driver’s license issued by your home country to drive here. When there’s an accident you don’t move out of the street, you stay there until the police arrive. There are few street or traffic signs in most places, and they can be confusing & it’s easy to get lost. Insurance – Mandatory with car rentals, so be sure to factor that into the rental price. Many of the main roads in Costa Rica are paved and in good enough condition for a small vehicle. But if you plan to travel to certain areas like the Osa Peninsula or Monteverde with a rental you’ll want a 4wd. GPS – Unless you have some excellent maps printed out and speak enough Spanish to ask for directions when you inevitably get lost you will definitely want to pay extra for a GPS. Be warned that these aren’t 100% reliable and can lose signal frequently when in remote or mountains areas, as happened to me many times. Gas Prices – The price of gas is high in Costa Rica, and regulated by the government. You don’t need to look for different stations to get the best price, they’re all the same. There are a large number of rental car companies servicing Costa Rica including familiar chains like Alamo, Budget and Hertz. Consider using a local company as it can save you money, but beware of hidden fees. I rented for a week during part of my stay in Costa Rica with Adobe Car. They have offices in many tourist cities and you can drop off in different locations than you picked up. In a hurry to get somewhere and the bus isn’t a viable option? There are several shuttle services you can use but they’ll be quite a bit more expensive. Costa Rica Driver – private transportation for 1-4 people. Nature Air – Flights throughout Costa Rica, and international flights to Managua, Nicaragua / Bocas Del Toro, Panama. Sansa Air – Daily flights to 12 different locations within Costa Rica.